Dr. Sarah Morsbach Honaker Ph.D, CBSM is a Clinical Psychologist with specialty training and certification in behavioral sleep medicine. Dr. Honaker is Assistant Professor of Pediatrics at the Indiana University School of Medicine, and Director of the Behavioral Sleep Medicine Program at Riley Children’s Hospital. She earned her doctorate in Clinical-Community Psychology from the University of South Carolina. Her postdoctoral training and first faculty position were at the University of Louisville School of Medicine, where she conducted behavioral sleep clinics in both sleep center and primary care settings. She has several publications in peer-reviewed journals as well as book chapters, and has served as an ad hoc reviewer for several journals. 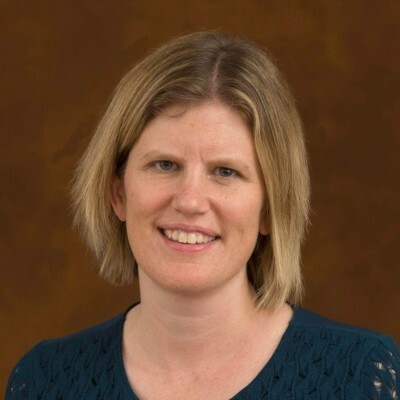 Her current ongoing research studies include behavioral sleep interventions for children with disruptive behaviors, infant sleep intervention with diverse families, and using a computer decision support system to help pediatricians identify obstructive sleep apnea. Sarah has learned much about sleep from her daughters Kate and Bella, with whom she has had many challenging nights. Honaker S., Mindell J., and Meltzer L. Pediatric sleep. Handbook of Pediatric Psychology (5th edition). In press. Honaker, S. & Meltzer L. Addressing sleep in pediatric primary care: A review of the literature. Sleep Medicine Reviews, 25: 31-39, 2016. Jones, V., Rowland, M., Young, L., Atwood, K., Thompson, K. Sterrett, E., Honaker, S., Williams, J., Johnson, K., & Davis, D. Stakeholder perspectives on barriers for healthy living for low-income African American families. Frontiers in Pediatrics, 2(137): 1-9, 2014. Honaker, S. & Meltzer, L. Bedtime problems and night wakings in young children: An update of the evidence. Paediatric Respiratory Review, 15(4): 333-339, 2014. Davis, D., Honaker, S., Jones, V., Williams, P., Stocker, F., & Martin, M.: Identification and management of behavioral/mental health problems in primary care pediatrics: Perceived strengths, challenges, and new delivery models. Clinical Pediatrics, 51:978-82, 2012. Honaker, S. The power of the bedtime routine. Medical News, 2009. Honaker, S., Spruyt, K., Bennett, J., Sans Capdevila, O., & Gozal, D.: Sleep-disordered breathing and verbal abilities in school-aged community children. Developmental Neuropsychology, 34: 588-600, 2009. Morsbach, S. & Prinz, R.: Understanding and improving the validity of parental self-report. Clinical Child and Family Psychology Review, 9:1-21, 2006. Tsai, A., Morsbach, S., and Loftus, E. In search of recovered memories. In W. O’Donohue, D. R. Laws, and C. R. Hollin (Eds. ): Handbook of Forensic Psychology. New York: Elsevier, pp. 555-574, 2004. Wandersman, A., Morsbach, S., McKnight, K., Herndon, E., and Coyne, S.: Clinical and community psychology: Complimentaries and combinations. The Community Psychologist, 35: 4-6, 2002. Honaker, S., Shaib, F., Cash, E., Saunders, T., and Jortani, S. (2015, June). Second-hand smoke exposure, sleep-disordered breathing, and insomnia symptoms in children and adolescents. Data Blitz presentation at the Associated Professional Sleep Societies, LLC, Seattle, WA. Honaker, S. (2014, June). Behavioral treatments for bedtime problems and night wakings in young children. In Honaker S. (Chair) Pediatric behavioral sleep medicine. Postgraduate course presented at the annual meeting of the Associated Professional Sleep Societies, LLC, Minneapolis, MN. Honaker, S. (2014, March). Behavioral treatment of insomnia and circadian rhythm problems in children and adolescents. In Honaker S. (Chair) Pediatric behavioral sleep medicine: Tips and tools for practitioners. Workshop presented at the Society for Pediatric Psychology Annual Conference, Philadelphia, PA.
parent: Seeking a healthy balance. Symposium presented at the annual meeting of the American Psychological Association, Honolulu, HI. Honaker, S. (2013, August). Bedtime problems and night wakings in infants and young children. In Honaker S. (Chair) Pediatric behavioral sleep medicine: Tips and tools for practitioners. Workshop presented at the annual meeting of the American Psychological Association, Honolulu, HI. Honaker, S. (2012, August). Clinical work in the academic medical setting. In Ponce A. (Chair) Psychologists in academic medical settings. Symposium presented at the annual meeting of the American Psychological Association, Orlando, FL. Honaker, S. (2012, August). Bedtime problems and night wakings in infants and young children. In Crabtree V. (Chair) Pediatric behavioral sleep medicine: Tips and tools for practitioners. Workshop presented at the annual meeting of the American Psychological Association, Orlando, FL.